Ketia4Kidz Foundation, Inc is a 501(c) 3 non-profit organization sacrificing to saluting the military brats. The Foundation will seek to increase awareness in the military brat community, grant opportunities for college scholarships providing support and mentorship along the way. 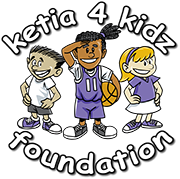 Click the links to find more information about the Ketia4Kidz Foundation. Thank you for showing interest in our mission. We hope you decide to join us in supporting and thanking our military kids for the sacrifices they make. Feel free to contact us at anytime.